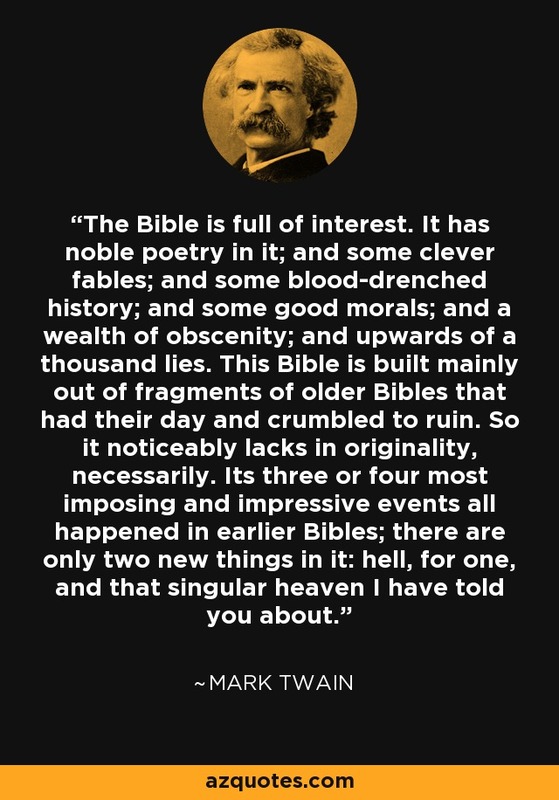 The Bible is full of interest. It has noble poetry in it; and some clever fables; and some blood-drenched history; and some good morals; and a wealth of obscenity; and upwards of a thousand lies. This Bible is built mainly out of fragments of older Bibles that had their day and crumbled to ruin. So it noticeably lacks in originality, necessarily. Its three or four most imposing and impressive events all happened in earlier Bibles; there are only two new things in it: hell, for one, and that singular heaven I have told you about.